Brexit extension: How much will it actually cost Britain to leave the EU? The newly-elected members of Bangladesh's Parliament took the oath of office on Thursday amid an opposition boycott following the country's 11th parliamentary election. Bangladesh's Parliament Speaker Shirin Sharmin Chaudhury swore in the lawmakers, including Prime Minister Sheikh Hasina at a ceremony in the Oath Room of the Parliament Complex in Dhaka at 11 a.m, bdnews24.com reported. The MPs from former Prime Minister Khaleda Zia's Bangladesh Nationalist Party (BNP)-led major opposition alliance skipped the oath-taking ceremony. Speaking to the Dhaka Tribune in front of the BNP Gulshan office, a party leader said: "A meeting will be held to decide the next course of action for the MPs-elect, as they did not attend the oath taking ceremony." 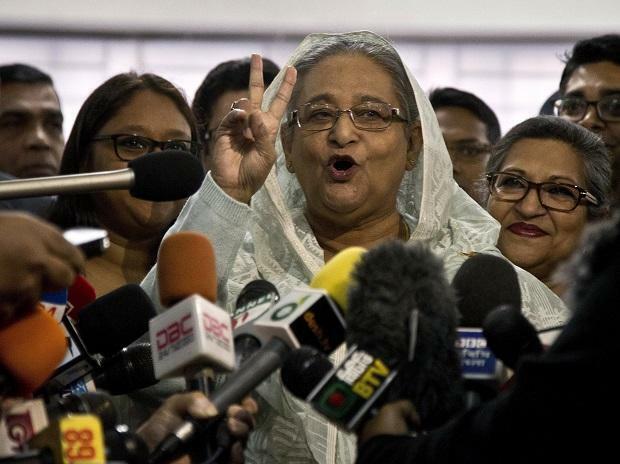 According to the Election Commission Gazette, Awami League (AL) led by Hasina won 257 out of 299 seats in the December 30 election, more than enough for her party to form another five-year term government. The Bangladesh Parliament comprises 300 seats for elected representatives. But voting was held at 299 constituencies after the death of a candidate prior to the election led to the rescheduling of voting at Gaibandha-3. Khaleda's major opposition party BNP, which suffered the most lopsided loss in its political history since 1978, won 5 seats. It was the ruling party in Bangladesh for two terms -- 1991-1996 and 2001-2006 -- since the country's return to democracy in 1991. AL's key ally in the elections Jatiya Party won 20 seats while BNP's ally Gono Forum managed only two seats. The BNP rejected the election results, alleging various irregularities. The voting was tainted with violence across the country that claimed the lives of 18 people. According to the Constitution, the President must convene Parliament within 30 days of swearing-in ceremony. The 11th Parliament will officially begin functioning after the termination of the 10th Parliament on January 28 that was convened on January 29, 2014.